December 2014by Helen Krummenacker A chilly December evening was made cozy not only by the fireplace, but the scents of vanilla, cinnamon, and ginger from baking in the kitchen. Marissa turned the radio to a station playing all Christmas music. Isabella was excited even beyond the average child at Christmas time, for this was her first Christmas tree, her first time seeing fairy lights, and even the radio was a novelty for her. She would sit on the sofa, stare at the tree and get up again every few minutes to better distribute the ornaments for color balance and even presentation. 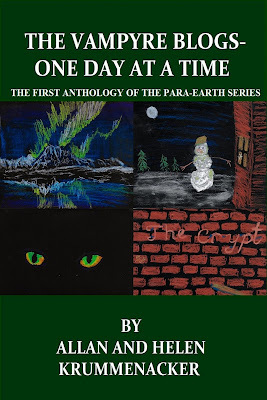 PRE-ORDERS ARE NOW AVAILABLE FOR "THE VAMPYRE BLOGS - ONE DAY AT A TIME"
****COMING DECEMBER 1st, THE LATEST INSTALLMENT OF THE PARA-EARTH SERIES**** Twenty-five stories, spanning 150 years... “The Vampyre Blogs – Coming Home” introduced a new cast of characters to the Para-Earth Series. 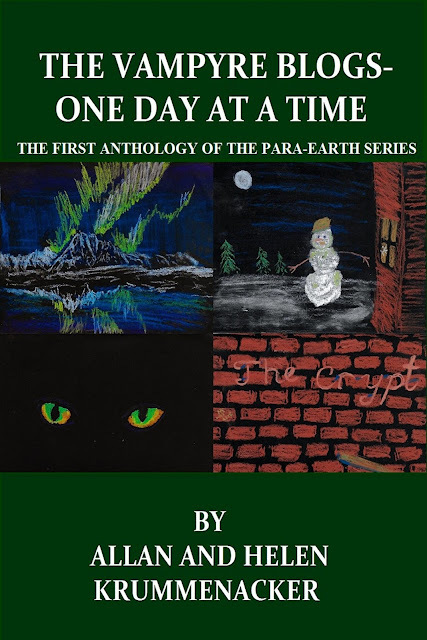 This anthology answers and raises questions about their backstories and relationships. 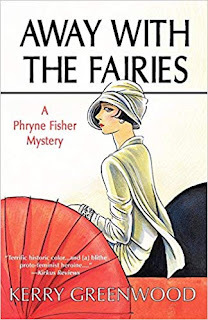 Book Review: Kerry Greenwood's "Away With the Fairies"
This is one of the Phryne Fisher novels, a mystery set in Australia. These deal not only with solving crimes-- in this case, looking into the suspicious death of an eccentric writer of fairy stories-- but also the social structures of the times they are set in. It’s 1928, and the aftermath of the Great War is still felt in everything from the growth of women’s career options to international politics. For Miss Fisher, the international politics has turned her personal life on end, because her Chinese boyfriend is in danger just trying to handle his family’s import business while China is in crisis. As for the mystery, most of the suspects living as neighbors to the deceased were also her co-workers through a women’s magazine. And what a women’s magazine it is! 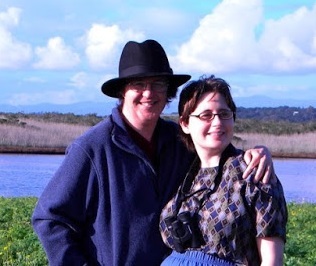 While there are columns on child-raising and fashion, the magazine is full of how-to information on building your own radio and fixing your car, as well as health and gardening advice.